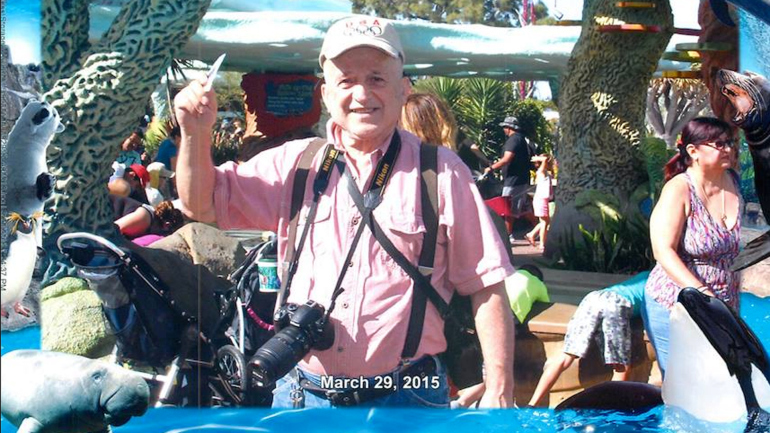 Nikolaos Christidis, 76, was found in desert area called Lake Los Angeles. He was last seen in Oceanside on July 22, 2015 which is about 140 miles from where he lived. He was spotted in Rosamond, Calif driving his black 2015 Honda Civic and before that he was seen by his daughter just before she went to take a nap. When she woke up around 4 p.m. he had left her a note saying he would be home later but he never returned. The following day Nikolaos e-wife called to tell her he was in Escondido and would be home in about 15 minutes, but he did not show up. When his daughter called around 10:35 a.m. to check on him, he said he was in the desert and would be home in an hour. She tried again that afternoon and his phone went straight to voicemail, reported San Diego 7 News. Nikolaos car was found in an abandoned field near 155th Street East,Lake Los Angeles in some soft sand. The car could not be seen from the road, reported KTLA. Authorities began searching the area but it took two days to find Nikolaos remains that were located about a mile and a half from his car in the Antelope Valley area. Nikolas was diagnosed with Alzheimer’s and had gotten lost before and ended up in Arizona. There is no foul play suspected.